Rushmoor Council’s Planning department have recommended that the La Fontaine public house be converted to residential “multiple occupancy”. North Aldershot has 2 pubs left: La Fontaine and the Royal Staff. 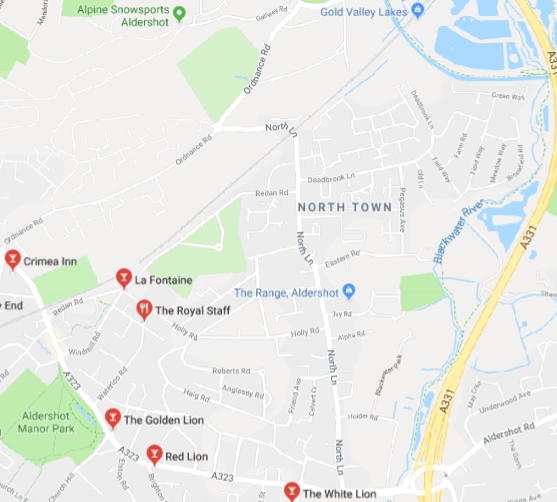 With the Royal Staff potentially under threat it looks like the whole of North Aldershot could have no pubs.The Royal Staff’s garden has been separated from the main pub through the land registry, removing amenity value and opening the door to using the land for other more lucrative purposes. Such as building housing. Yet the council have made a formal and firm commitment to protect Public houses through a Supplementary Planning Document (SPD): link here. 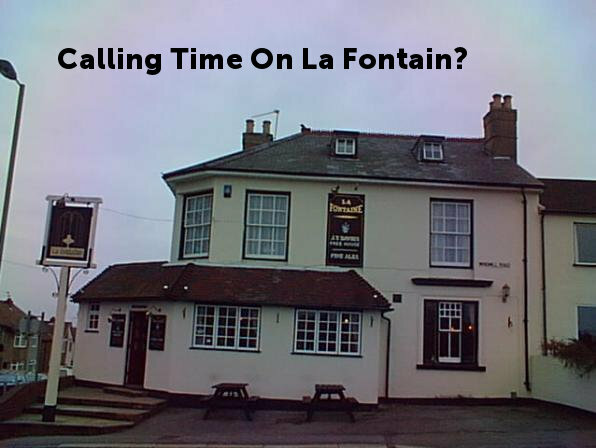 Is £525,000 a reasonable asking price for La Fontain as a public house, as has it has been marketed? Does the asking price reflect that the owner is seeking to obtain planning permission to convert the pub to a residential development opportunity? It is true to say the value of property for residential use at this point in the south east of England is more than for pretty much anything else. The Civic Society understands this, and questions the motivation behind such a high asking price, which certainly would make any pub business on the premises unviable. The Unicorn sold for £395,000 in February 2015; The White Hart sold for £325,000 in February 2016, Imperial Standard for £250,000 in December 2016 and more recently the Royal Staff was sold for £265,000 July 2017. So why have council planning chosen not to question La Fontaine’s rather high asking price? Yet four years ago the police forced a licensing review imposing licensing restrictions as the current proprietor, on a number of occasions, was intoxicated while running the venue, allowed smoking inside the premises and customers were allowed in the garden after hours disturbing local residents. That does not sound like someone who wants the business to be a success, yet here we are, 4 years later, faced with accounts that show an unviable business and seemingly no support from the local council in ensuring compliance with their own SPD. It is the responsibility of our council to see the bigger picture and protect community venues which certainly do have the potential to be profitable. We urge Rushmoor councillors to do this when they make a final decision at the Development Control Committee meeting on Wednesday 23rd May. Rushmoor Borough Council Planning Department Decision to recommend granting the application: https://democracy.rushmoor.gov.uk/documents/….